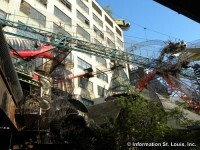 Welcome to AboutStLouis.com. 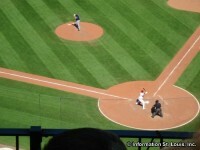 This site is dedicated to providing information on EVERYTHING about St. Louis! We have researched and compiled information including lots of photographs about the St. Louis Metro area. And we are not done yet. Our goal is to be completely exhaustive in each category, so if you know of something that should be included, please contact us! 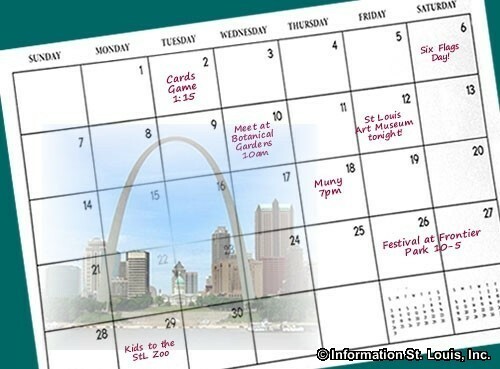 We know that AboutStLouis.com will be invaluable to visitors and residents alike. So bookmark this page! We are certain that you will want to come back again and again. The city of St Louis was officially established in 1764 by Pierre Laclede as a French trading post named after King Louis IX of France. But even before Laclede founded St. Louis, Native Americans had established Cahokia Mounds, the site of the largest prehistoric native American mound north of Mexico. Today, St. Louis is ranked as the 18th largest MSA (Metropolitan Statistical Area) in the country. The 2010 Census has the region's population as 2,812,896 with an average age of 38. There were 1,119,020 households with a median income of $53,227. Some of the largest industries by employment are education and health, manufacturing, trade, transportation, and professional services. Some of the largest employers include Boeing, BJC Healthcare, Scott Air Force Base, and Washington University. The City of St. Louis is the heart of the St. Louis Metropolitan region that includes 15 counties plus the city itself. The metropolitan area is 8,549 square miles spread across Missouri and Illinois. 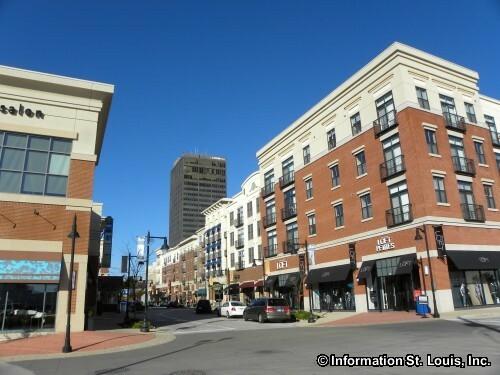 AboutStLouis.com provides extensive information on eight of those counties and the independent City of St. Louis. Those counties include St. Louis County, St. Charles County, Franklin County , Jefferson County, Lincoln County in Missouri and Madison County , St. Clair County and Monroe County in Illinois. Planning a visit to St. Louis? Let us offer a few tips to help you plan your visit. First, you will want to check to see what events are scheduled during the time you are visiting. St. Louis will often host large conferences and conventions downtown at the America's Center. This is especially important to know if you are planning to stay in a hotel downtown. Second, make sure to check sports schedules for the St. Louis Rams, the St. Louis Cardinals and the St. Louis Blues. Downtown can easily be hosting a Cardinals game, a Rams game and an annual convention, all on the same day! Additionally, be aware of holiday events that may bring in visitors. These include New Year's, St. Patrick's Day, Mardi Gras, Memorial Day, July 4th and Labor Day. All of this is important in determining the right time for your visit. So once you have decided when to visit St. Louis, what do you want to do while you are here? St. Louis is fortunate to have a diverse economy. The Metropolitan area is home to manufacturing, financial, biotechnological, shipping, logistic, transportation and energy companies. 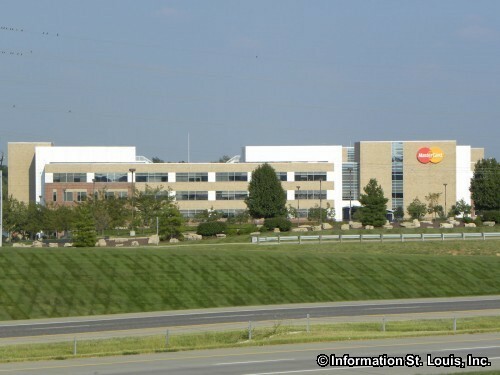 Many of these companies either have their headquarters in St. Louis or the company has a large corporate presence here. These are the employers of the St. Louis workforce. Some of those companies with headquarters located here are Edward Jones, Drury Hotels, Express Scripts and World Wide Technology. Corporations with a large presence in the area are Boeing, Mastercard, General Motors and Anheuser-Busch Inbev. Several companies employ thousands of St. Louisans and are the largest employers in the area. Those employers include Washington University, Barnes-Jewish Hospital and Scott Air Force Base. St. Louis has seen changes in its economy over the last 20 years. Biotechnology has become a bigger part of the economic sector and several companies are located in the Metro area. Those include Monsanto, the Donald Danforth Plant Science Center and Sigma-Aldrich. For more information on the companies that are located in the St. Louis area, visit our St. Louis Economy page. Where you work or attend school will more than likely influence where you will live. The St. Louis Metropolitan area has over 180 communities spread across 15 counties and the City of St. Louis. AboutStLouis.com has information on 8 of those counties and the City of St. Louis. In Missouri those counties include St. Louis County, St. Charles County, Jefferson County, Lincoln County and Franklin County. In Illinois, our information includes Madison County, St. Clair County, and Monroe County. Some of the larger communities in the Missouri counties include Arnold, Ballwin, Chesterfield, Clayton, Creve Coeur, Florissant, Hazelwood, Kirkwood, Maryland Heights, O'Fallon, St. Charles, St. Peters, University City, Webster Groves and Wildwood. Some of the larger communities in the Illinois Metro East counties include Alton, Fairview Heights, Belleville, Edwardsville and Collinsville. 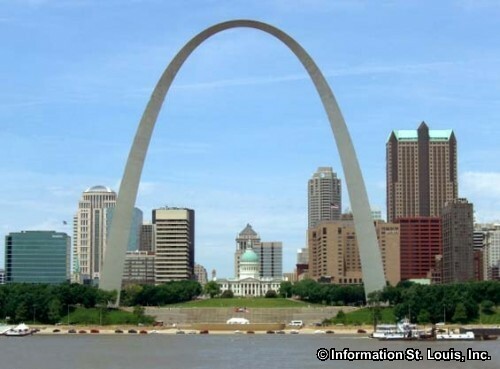 In the City of St. Louis there are 79 "official" designated neighborhoods. 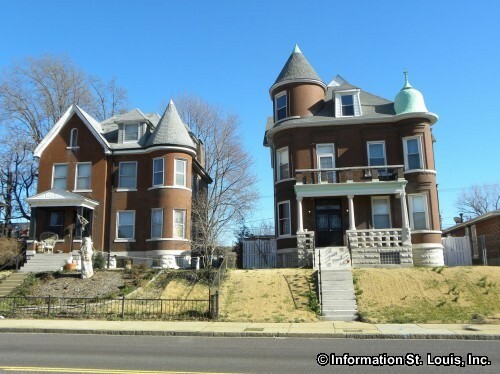 Some of these neighborhoods include Downtown, the Central West End, Soulard, Benton Park, Carondelet, Hyde Park, the Hill, Holly Hills, Midtown, Dogtown, Fox Park, Academy and Old North St. Louis. 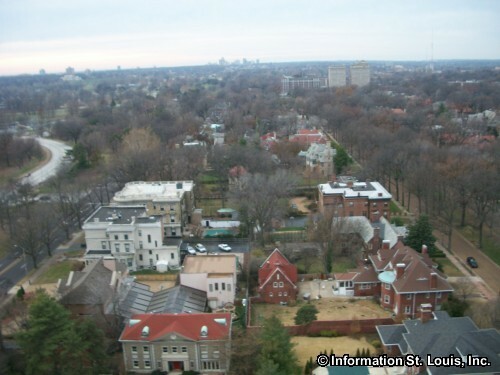 For the list of all the St. Louis Neighborhoods, see our St. Louis Neighborhoods page. 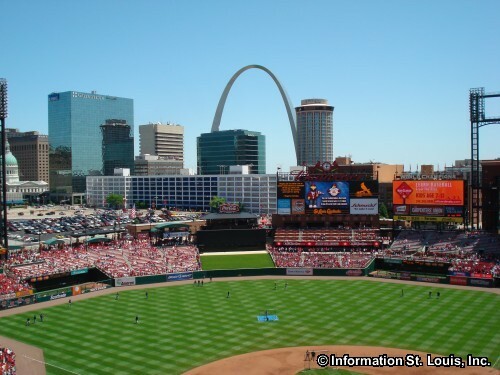 Leisure activities come in many forms and St. Louis has a large variety from which to choose! If you like to golf then you are in luck. The metro area has over 130 golf courses, private and public, to play. Maybe going for a long walk or taking the family on a bike ride or a picnic is something you like to do. 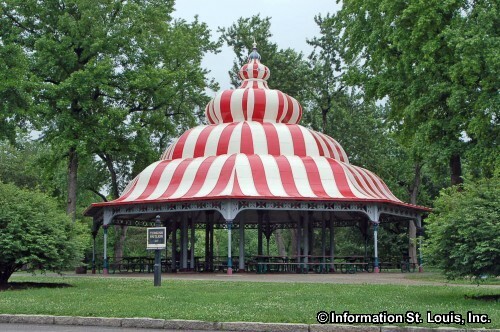 The City of St. Louis alone has over 100 parks with Forest Park, Tower Grove Park and Carondelet Park being three of the largest and providing ample space for a wonderful family day! 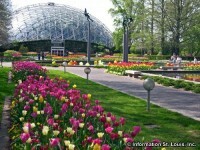 Our St. Louis Parks page has a list of some of the many parks that dot the St. Louis metro area. Shopping is a way many people spend their past time and the malls and shopping areas in St. Louis are located conveniently throughout the Metro area. Maybe an evening out on the town is the way you enjoy spending your free time. Start the evening with a memorable dining experience at one of the area's fine restaurants. End the evening with a game of chance at one of the casinos located in the St. Louis area or attend a special performance in the Grand Center held at the Fox, Powell Hall or the Sheldon. For more ideas, see our Entertainment page. What if you have a whole day or even a couple of days that you just want to get out and do something? May we suggest a "Day-Trip"? 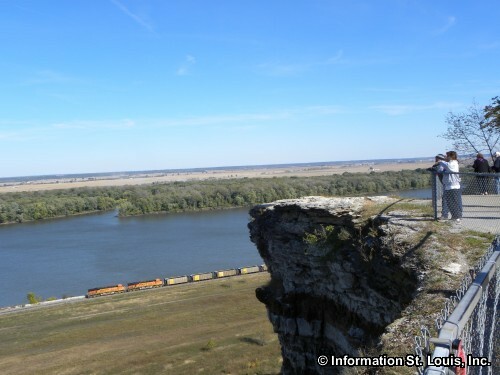 There are many historic towns, unique attractions and wineries located within a day's drive from the St. Louis metro area. 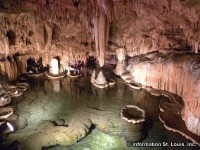 Of course, just visiting the many attractions located within the St. Louis area make for a great day as well! Whatever you choose to do in your free time, St. Louis will have what you are looking for! St. Louis has some of the best schools in the country, on all levels of education. Whether you are looking for public, private or parochial, there are many educational options at the elementary school, middle school and the high school level. The residents of the city of St. Louis are served by pubic schools, charter schools, independent schools and private schools. The St. Louis Public School District which has 65 schools, eight of them being high schools is located in the city of St Louis. St. Louis County has over 300 public and private elementary, middle and high schools within its borders with over half of them being private and/or parochial. Catholic schools represent most of the private schools that are found in the City of St. Louis, St. Louis County and the other surrounding counties. The St. Louis Archdiocese Catholic School system is the largest school system in Missouri and has the largest concentration of high schools in the nation with about 50,000 students enrolled in 121 elementary schools and 30 high schools. Lutheran elementary, middle and high schools are also found in St. Louis area. Excellent universities, colleges, trade and vocational schools can also be found in the St. Louis metro area. 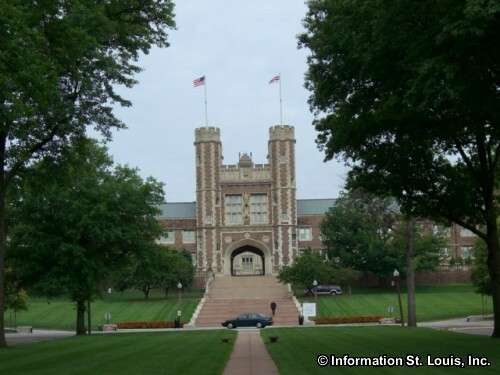 Washington University is one of the best four year schools in the nation, as ranked by U.S. News, and is located right here in St. Louis. Other universities include the University of Missouri-St. Louis (UMSL), Saint Louis University, Fontbonne University, Harris-Stowe State University, Webster University, Maryville University, Missouri Baptist University and Southern Illinois University Edwardsville. For all the education choices located in the Metro St. Louis area, see our Education page.